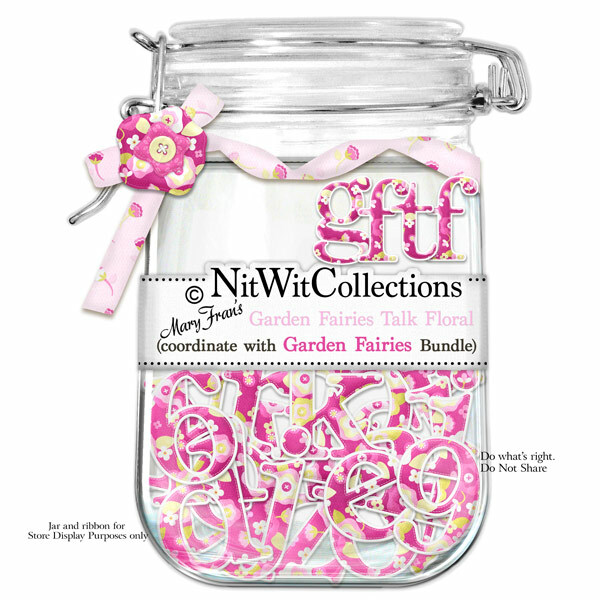 "Garden Fairies Floral" Talk brings a little more interest to an alpha to coordinate with our FQB "Garden Fairies" Collection. A floral covered alpha for a floral themed Collection(I am a genius somtimes, hey? ?ha,ha)!